Physicist Dr. Mustapha Laatiaoui will be receiving a Consolidator Grant of EUR 2 million from the European Research Council (ERC) to support his research in the field of atomic and nuclear physics. He will be using the EU funds to develop a novel approach for optical spectroscopy of the superheavy elements. This will make it possible to obtain information about these elements that has so far been completely inaccessible. The Consolidator Grant is one of the most richly endowed ERC funding awards. There is very little information on superheavy elements, because they are difficult to produce, observe, and analyze. The heaviest element that can be obtained in macroscopic amounts is fermium of the atomic number 100, which means that fermium has 100 protons in its atomic nucleus. At present, elements heavier than fermium can only be synthesized in single-atom-at-a-time quantities utilizing large accelerator facilities. In addition, they are radioactive and rapidly decay, often within split seconds, which gives only little time to investigate them. However, it would be of particular interest to physicists from various fields to know more about these super-heavyweights to better understand their structure and why they exist. Such insights would be useful, for example, when it comes to searching for traces of even heavier elements, which might be created, for example, in neutron-star merger events. Astrophysicists are used to determine the abundance of chemical elements in the universe from the observed spectral lines. „Spectral lines are like a fingerprint. We can assign them very precisely to an element,“ explained Laatiaoui. Most of them have been well documented from lab-based experiments for the majority of elements. 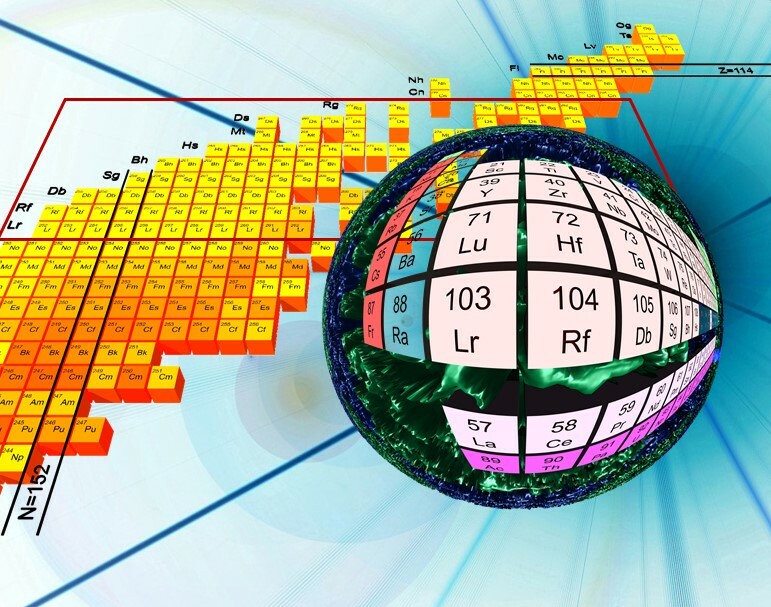 Even recently, some spectral lines of element 102, nobelium, were identified for the first time. „But beyond that point, from lawrencium on, we know next to nothing in this respect,“ Laatiaoui pointed out. By definition, superheavy elements have more than 103 protons in their atomic nucleus. The heaviest element known to date is oganesson with 118 protons. Its position in the periodic table indicates that it is probably a noble gas. The element was synthesized in 2005 by bombarding californium with calcium ions. It is not possible to investigate these synthesized superheavy elements using conventional methods. „The laser resonance ionization technique that was used in the nobelium experiment is currently at the limit of what is feasible,“ explained Laatiaoui. The physicist has therefore developed a novel approach of optical spectroscopy that will constitute a new paradigm in this research field. Using a laser beam, he will attempt to excite positively charged ions instead of neutral atoms, which have been employed up to date when lacking tabulated spectral lines. „The search for optical resonances is a very complex process that requires a support from theory. The more precise the predictions indicate the position of the spectral lines, the easier it becomes to pinpoint the resonances,“ said Laatiaoui. If he can find the right wavelength to excite the ions, it will alter the ratio of ions in an excited metastable state to those ions in the ground state. The result will be easily measurable as the ions drift at different speeds through the apparatus to the detector. Because the technique is based on laser excitation of particles and the analysis of their time of arrival at the detector, laser resonance chromatography (LRC) could well prove to be a highly sensitive and efficient detection method. Spectral lines can serve as powerful benchmarks for atomic model calculations in the region of the superheavy elements. In addition, they can provide insights into the properties of atomic nuclei, for instance, on the nuclear spin or the magnetic moment. With the newly identified fingerprint of a superheavy element, new routes opens up for astronomers trying to catch a glimpse of telltale photons from this element. The LRC project will receive EU funding worth EUR 2 million over the next five years. In addition, the European Research Council has approved two other JGU applications. One is a project aimed at the production of fully synthetic vaccines proposed by Professor Pol Besenius. In the other, Professor Martin Kaltenpoth will be investigating how symbionts help in the biosynthesis of beetle cuticles. With a total of three ERC Consolidator Grants each, Johannes Gutenberg University Mainz and Ludwig-Maximilians-Universität München (LMU) are the most successful universities in the German U15 association of universities. The ERC Consolidator Grant is one of the most richly endowed EU funding awards for individual researchers. The European Research Council uses these grants to support outstanding researchers in developing their own projects, usually seven to twelve years after they have completed their doctorates. In order to receive a grant, applicants must not only demonstrate excellence in research, but also provide evidence of the pioneering nature of their project and its feasibility. 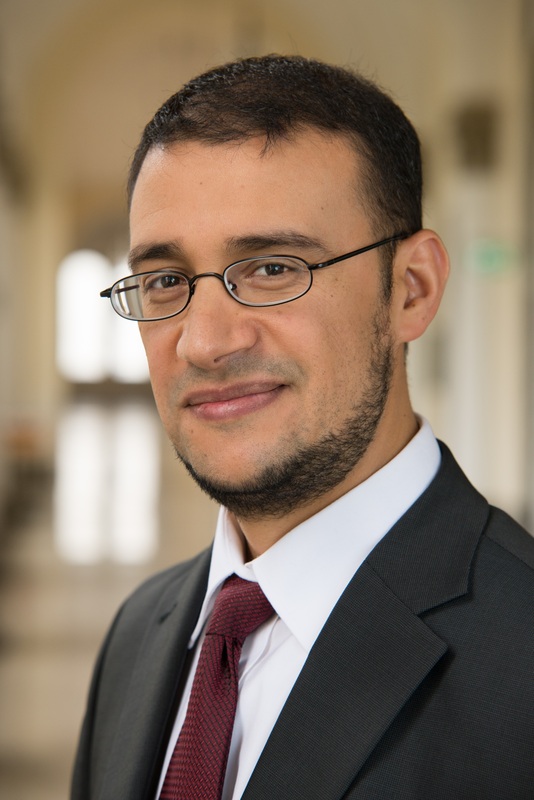 Born in Morocco in 1977, Mustapha Laatiaoui studied Physics at the Technical University of Munich and worked as a doctoral candidate and postdoc at Ludwig-Maximilians-Universität München. Further research activities took him to TU Darmstadt, to GSI Helmholtzzentrum für Schwerionenforschung in Darmstadt, KU Leuven, and most recently to Mainz University, where he started his work at the JGU Institute for Nuclear Chemistry and at the Helmholtz Institute Mainz in February 2018. His research focuses on investigating the heaviest elements using laser spectroscopy and ion-mobility spectrometry. Laser resonance chromatography will initially be used to investigate element 103, lawrencium.